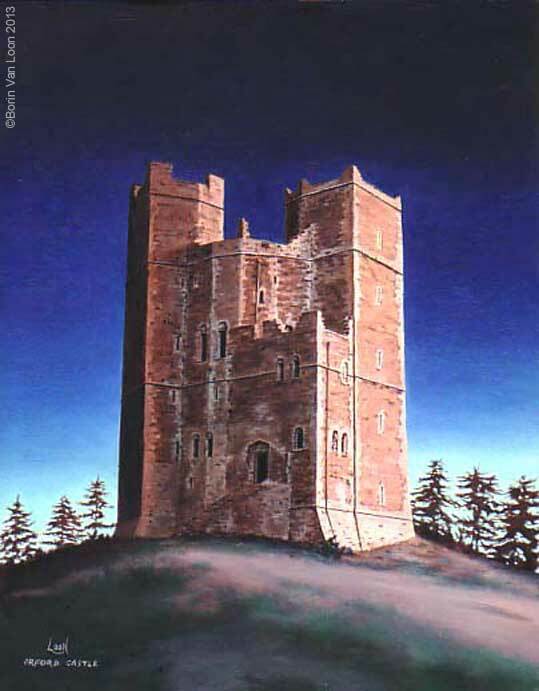 Painted for client calendar of Five Castles Press, Ipswich, this ancient Suffolk castle stands on a mound amidst some of the bleakest and most beautiful scenery on the east coast of England. From its battlements one can see the distant coastline, long receded from Orford Quay, and the mysterious Havergate Island's 'early warning' defence structures and masts (this area is now a bird reserve). I wanted to catch the misty, early morning rays of sunrise catching the faces of the castle with a certain amount of artistic licence in the trees behind. Still, one can dream. The image was later used in TLC Monthly listings magazine. Another archaic Suffolk building which has seen better days, by the look of this pen and ink drawing coloured with watercoloured dyes. The death of a church is somehow moving, even to those who have no faith. I witnessed the demolition of this place of worship near the seafront in Lowestoft in the late seventies. 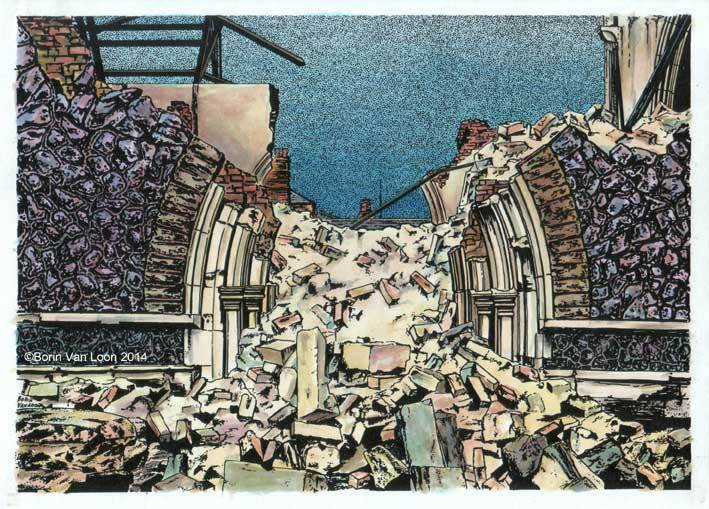 The ruined curved arches of the doorway spew forth a flood of dust, rubble and masonry into what was once a churchyard. I saw it as a building in its death throes. No doubt the developers saw it as a bloody nuisance.